Ever feel like it’s hard to keep up with messages and people’s posts and comments on your Facebook business page? Here is a simple solution. 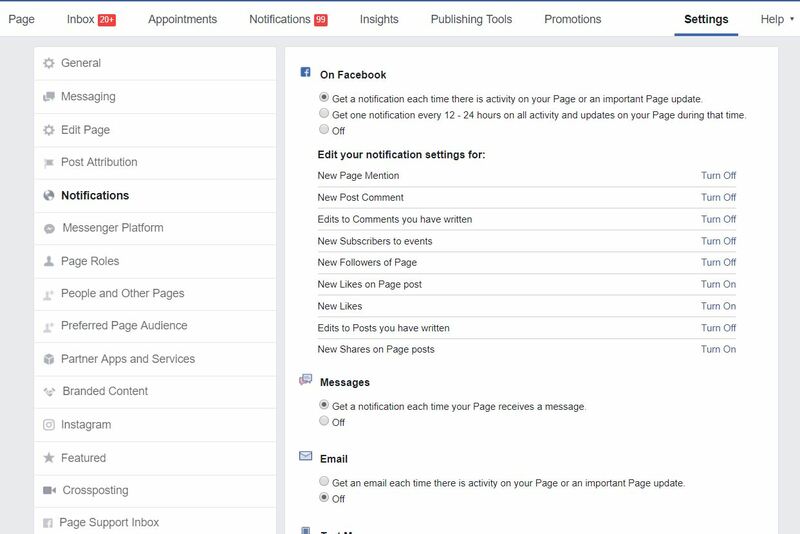 Facebook lets you choose what notifications you’d like to receive from the Page(s) you manage. You can select whether you want notifications or not. The more you can engage with your audience, the better! This little step can help you and the team managing your social media stay on it and show you mean business! I can’t get to my account to turn my notification back on someone told me the box in the top right there is nothing there. I can’t get to my home page why did this changa?